subjugator angel + mnemonic wall = lock? When Subjugator Angel enters the battlefield, tap all creatures your opponents control. Initially I considered Balefire Dragon! Tl;dr I chose Subjugator Angel over it. 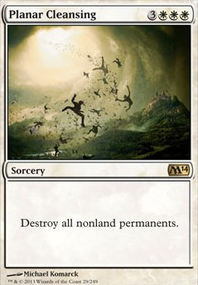 As i was first brewing around I quickly realized I'm not too keen on cards with "when it deals damage" effects, and I much prefer etb or attack triggers. The exceptions to that is Dragon Mage, Hellkite Tyrant, and Master of Cruelties for the rare cases I need to wheel to refill my hand or if I need to outright kill an opponent. Hellkite Tyrant is in there for the Mycosynth Lattice combo, and Stony Silence is in there for the other version of that combo. If you take a look at my selected creatures, they all fill one of three specific roles: Protecting my stuff (recursion counts here), helping me lose life/other enablers/generic value, or aggro helpers. Instead of having a recurring threat on the board like Balefire Dragon, I decided to go with a one-off etb trigger because I potentially will only need one turn to attack to be in a winning position. (if an opponent goes to <5 life, cast repay in kind, then I go in for the win next turn because now everyone is at <5 life.) If I don't then it isn't a threat anymore because it is a one-off effect, painting less of a target on my back. And just by playing Kaalia there is a huuge target on your back already. I chose Subjugator Angel because if it is put into play during attacks, no blocks can be made. Same effect if I cast it during main phase one, or if I want to be political and play it during second main. I feel it's just more versatile. Thanks for the suggestion though! If you have questions about specific cards feel free to ask! I have a couple of suggestions since I made a similar deck (I can provide decklist if need be). This seems like a partially aggressive deck which would make Aurelia, the Warleader a great addition. Considering you have annoying cards like Authority of the Consuls, Thalia, Heretic Cathar might be a card you want. If this is indeed an aggressive deck, Gleam of Battle and Fervor could be good additions. 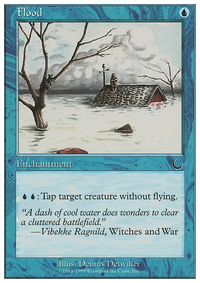 Subjugator Angel is just a great card for any aggressive deck. This are all sort of suggestions IF this IS an aggressive deck. If you aren't trying to be TOO aggressive, then idk what to suggest. Mother of Runes is also a great card. Subjugator Angel flickered with Sunblast Angel is a boardwipe :) One of my favorite angel combos to do! Hey. Looks good. Here are some additional ideas. Hall of the Bandit Lord - a untapped land and haste. Wonderful. The price is worth it. Bojuka Bog - How could you miss this little dirty gem? Underworld Connections - Card draw at will is always good. Rupture Spire - you need untapped lands for this commander since you need to be fast. Too much tapped with this one. Subjugator Angel - too small for too much mana. You don't always have your commander available. Ambition's Cost - replace it with something that draws more for less. Cathartic Reunion - too less consistent reanimation for this. Better pay some life to draw and keep the cards. Your commander needs them in your hand. Vindicate - you can do better. 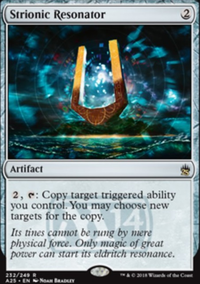 True Conviction - 6 mana and 3 of them white in a tri-color commander is quite hard. Especially since the effect does not really support your commander. Better draw some card draw or haste cards and drop them 3 to 4 turns earlier than this one. Dark Ritual - Better insert another tutor to really get what you want. With this commander there is a high propability that it will become a useless card. Even another mana rock is better in here. That's it for now. I may come back with more. I'd probably remove a couple Brave the Sands and Subjugator Angel for three copies. BtS is useless in multiples, and enough of your angels have vigilance to where it's not as effective. Subjugator is kind of weak; there usually isn't a need to tap down all your opponents' creatures if most of your stuff has flying.